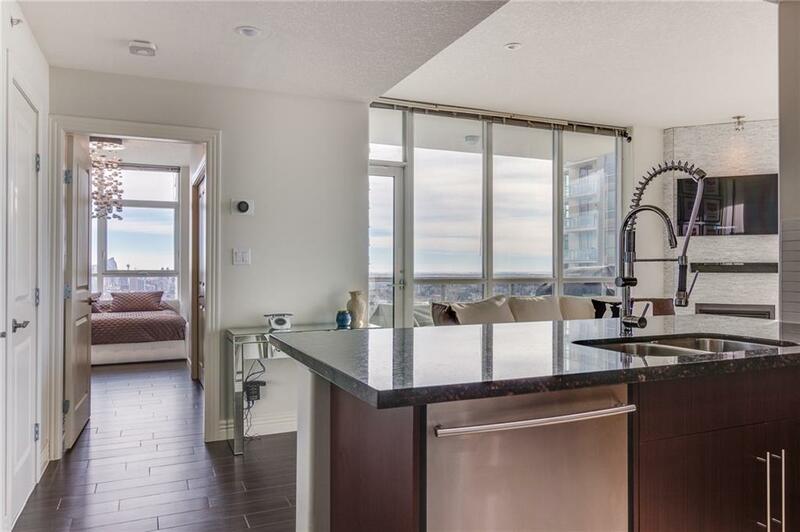 This $Million Dollar View$ comes with a 2 Bed, 2 Bath condo & TWO TITLED parking stalls! Starting with jaw dropping views of the Rocky Mountains & Downtown Skyline - your renovated TOP floor, MODERN home provides you LUXURY living. Chefs kitchen will take your breath away! 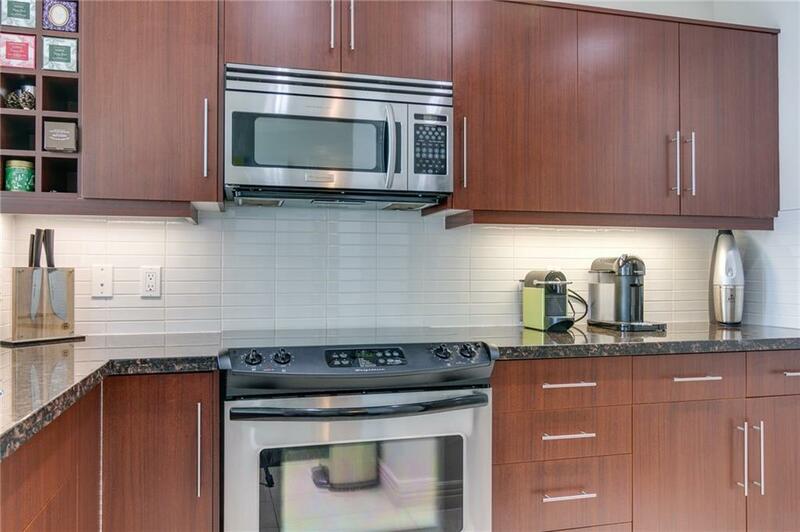 Upgraded stainless steel appliances includes a high end larger fridge to cabinet depth & faucet, Bosch dishwasher & granite countertops. 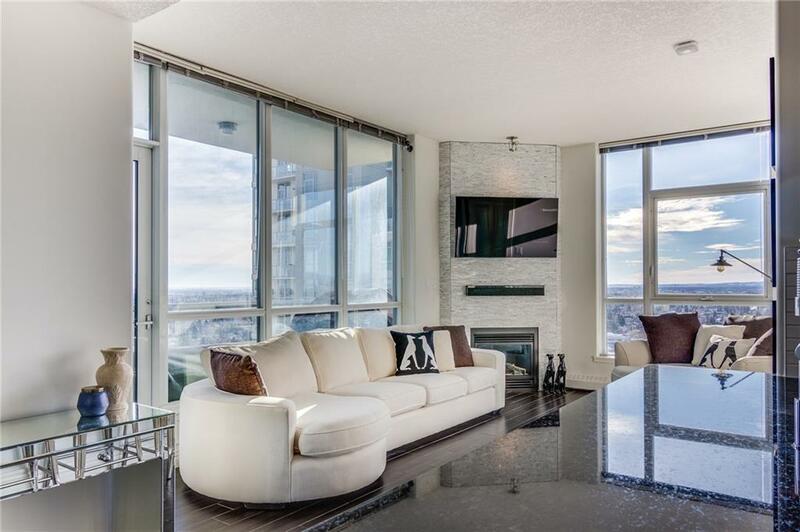 Living room features a custom built split-face marble floor to ceiling fireplace with LED pot lights throughout. Other luxuries include upgraded sound proofing under newer tile floors (2015), California closet built-ins, rounded corners, bedroom chandelier, massive balcony with views, & Nest smoke detectors & thermostat. 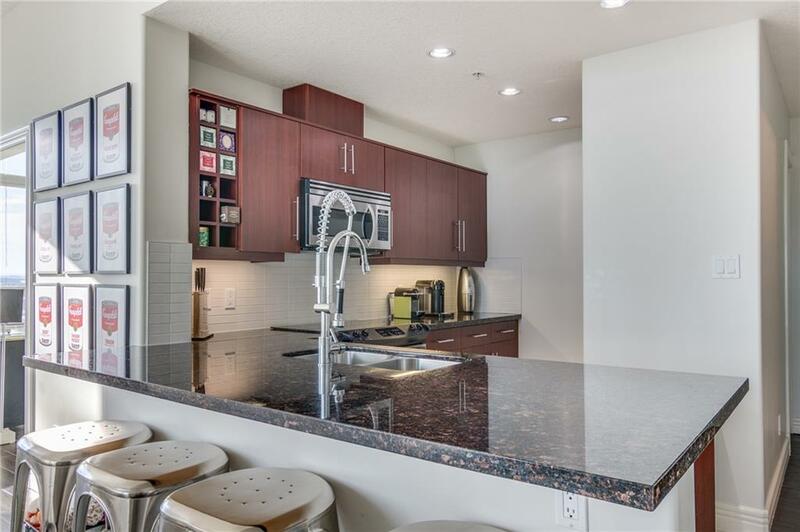 Love Convenience with your parking stalls on the 1st floor beside the elevators, 7 min drive to downtown & indoor pool, gym, & owners lounge in the complex. This luxury home will sell quick, call to book your private tour today! Tenant occupied, pictures are NOT current!